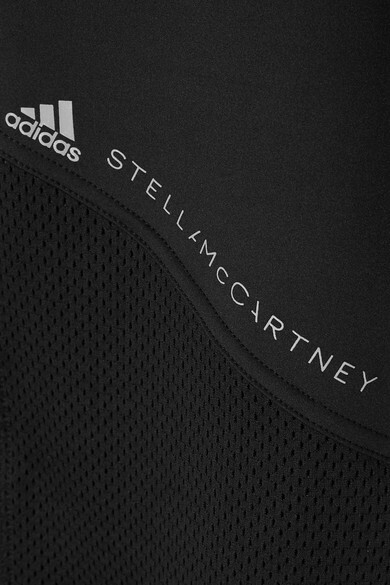 adidas by Stella McCartney is committed to reducing the environmental impact of manufacturing - these leggings are made from recycled yarn created in collaboration with Parley for the Oceans. Designed to support your frame and wick moisture, they have breathable mesh panels and a logo-print trim. Wear them with the label's 'Fitsense' sports bra for high-intensity workouts. Shown here with: adidas by Stella McCartney Sneakers, Bang & Olufsen Headphones.